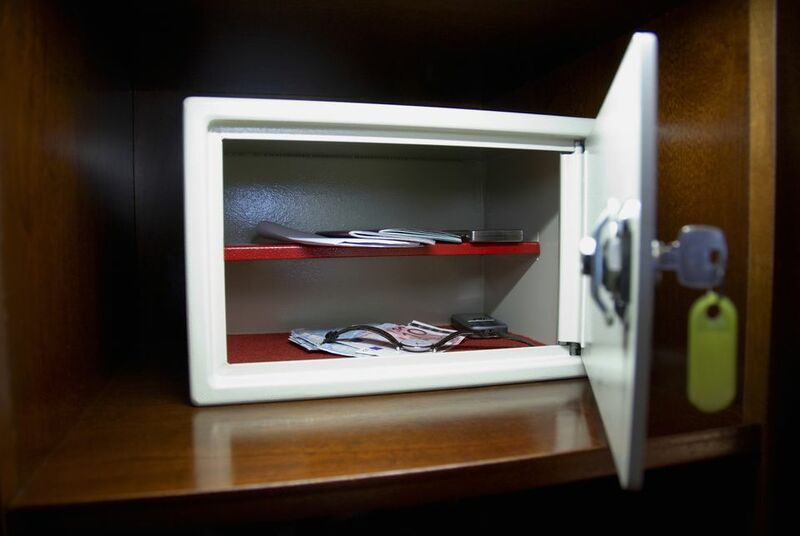 Reviewer's love this safe because it is lightweight and easy to use. It's a great option for those who want a basic safe that can hold up if a disaster strikes but don't need a ton of space. Here’s another great option for a compact fire safe. Its interior dimensions measure 3 3/4"H x 9 23/32"W x 7 9/32"D which fits things like jewelry, passports, USB drives, and memory sticks well. The box can withstand heat up to 1,500 degrees for half an hour, but is easily portable as it only weighs 11.6 pounds. There’s a privacy key lock for extra security.